You gotta love “free” storage. And even better if it’s pretty too. A couple of weeks ago I finally bought some new storage for my shoes, instead of the boxes that they were in. You can check out that post here from last week. 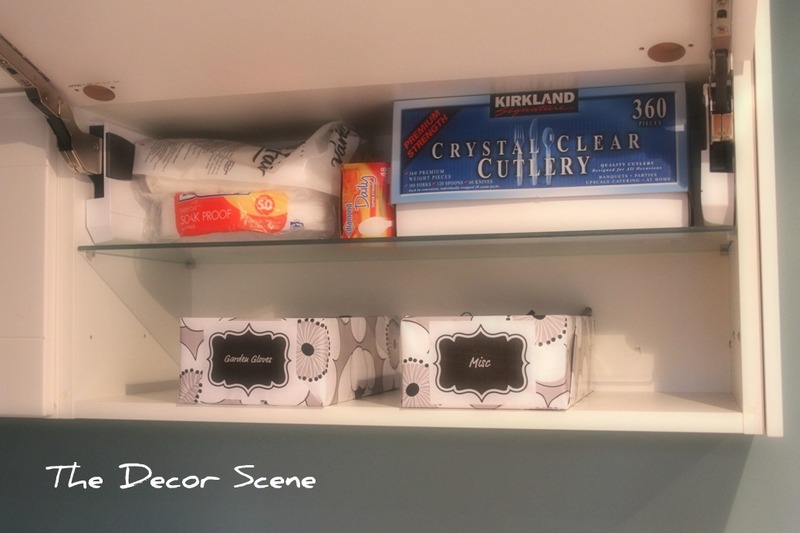 So I was left with a bunch of empty shoe boxes and then I had a great idea to organize one of my cabinets in our Laundry Room. And you can check out what the Laundry Room looks like right now here. I already had some pretty wrapping paper. I went with some double sided paper I already had, that I bought at Ikea about 2 years ago for a $1 a roll. I wanted to use black & white, because the Laundry Room color is already a blue/green color and I love how black & white looks with it. I didn’t use this one yet, but I will once I finish up the other cabinets in the room. Then I wrapped this box and oops I didn’t mean to wrap it this way on the short end. But since it was all taped already and I didn’t want to waste the paper, so I decided I needed to add something to the box to hide my oops. 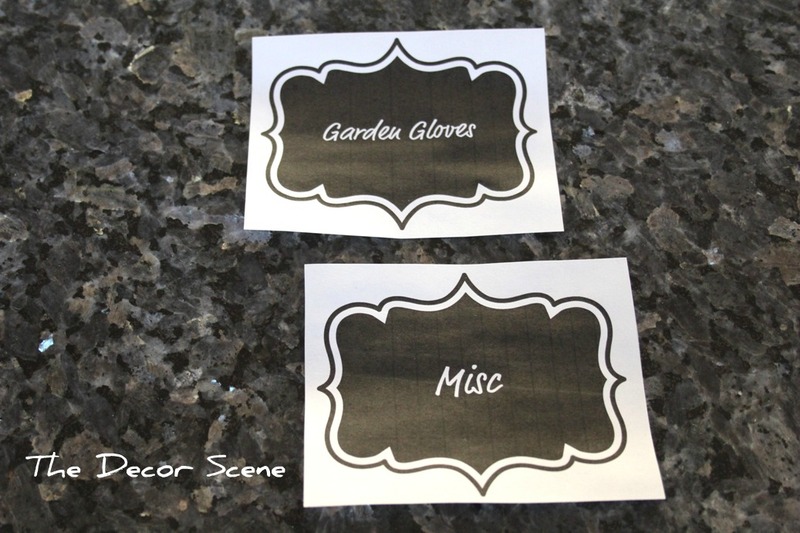 So I used some frames I just recently bought on Etsy to make some free labels for the boxes. I just printed them on regular paper and cut them down to size. I love how they came out. It basically covered up my oops and I know what’s in the box also. This is the cabinet that I needed to organize. Yikes!!! Yup we just throw things in this cabinet. I took everything out of the cabinet and put certain things away where they should be and everything else that was small went into these two boxes. Much better. I still have work to do to all of the cabinets in the Laundry Room, but this was a good start. Let’s get a little closer. I actually bought these from Michael’s the other day. They were on sale for $3.59 each. they might just end up in the Laundry Room too. We will see. I could use them in so many different places in the house. We will see where they end up. Have you made some free storage for your home? What did you use that was free? 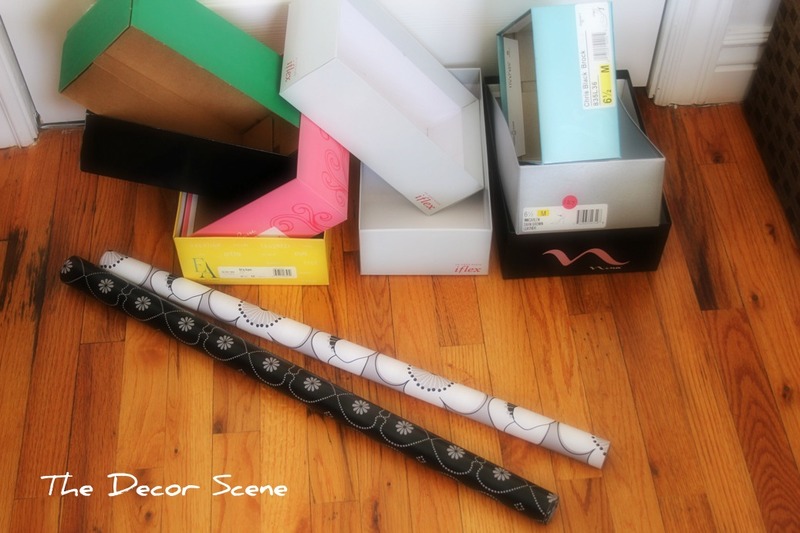 Did you make it prettier with wrapping paper or craft paper? What did you use? I would love to see your projects, so leave a link in the comments section. Thanks for stopping by everyone!!! Have a great day!!! 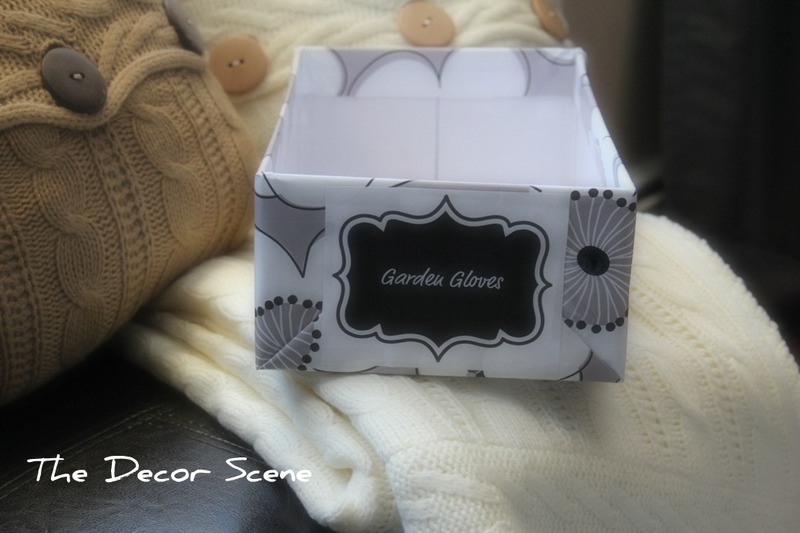 I love how your boxes turned out! 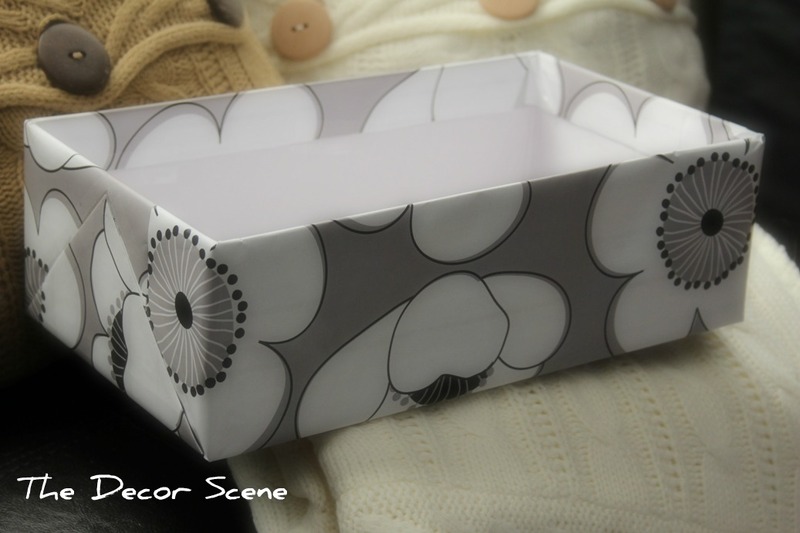 Great idea for reusing shoe boxes. Thanks Alexis. And thank you for stopping by. Thanks Jen! Yes of course I am linking up tomorrow. I wouldn't miss it. Wow! I love these boxes! 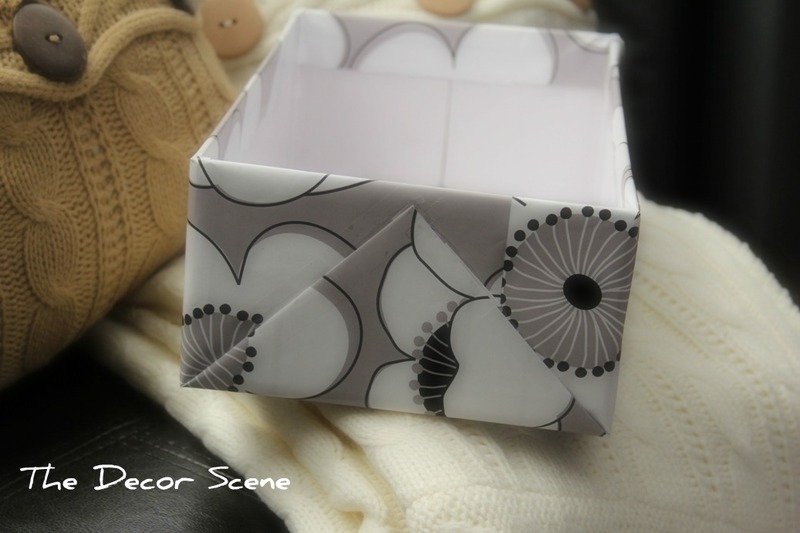 I've been looking for a good way to make my own storage boxes for a while now, I can't bring myself to pay so much for them in the stores, and now I've figured out how thanks to you! I found you at iheartorganizing by the way! Jess thank you so much. I'm so glad I have inspired you. That really makes me :). Thanks for stopping by and thanks for following my blog too. Oh I love it! Great idea to just print things out! I mean…whoulda thunk it? Sometimes going the simple route really is the best! Great job! Thanks!!! You are so right, instead of having to spend money on pretty labels, it was worth it to me. 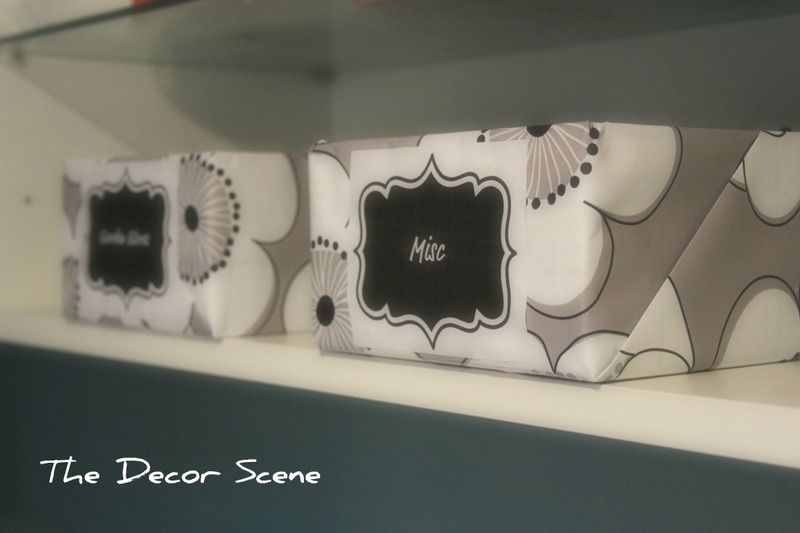 Though I wish I have a Cricut machine to make the pretty labels at home. 😉 Thanks for stopping by! Really cute. Great idea. I always hate to throw away a sturdy box so this is a great option. Thanks Becky!!! Once I saw all those boxes just sitting there I had to think of some place in our home to use them. So glad I did. I still have the rest of the boxes too, so there will be more projects to come. Thanks for stopping by! I love how even your "oops" looks better than my "I did my best!" haha I'm still learning though. Great idea, and thrifty too! Thanks Jeanette!!! But just remember your "I did my best" was a good thing. It doesn't need to be perfect, as long as it makes you smile and you did it, then in my book that is all that counts. Thanks for stopping by!!! I recently started doing this! Great minds think alike! 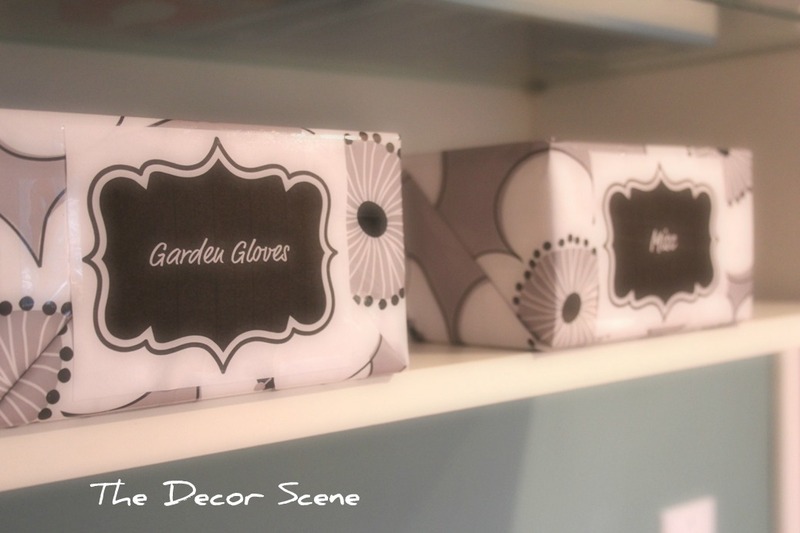 The boxes turned out so pretty, especially when paired with the really great labels. Thank you SO very much for linking up and sharing your geniusness! 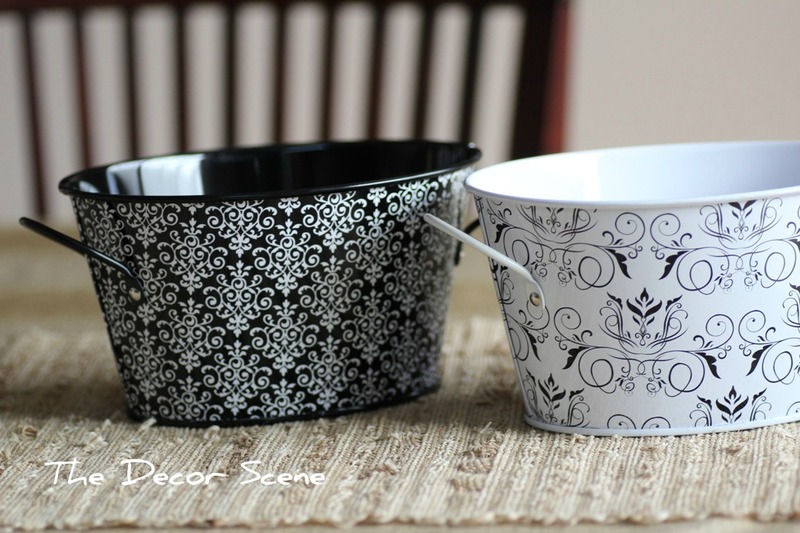 Love those little buckets also! Thanks Jen! It means a lot me. Thanks for all of your inspiration every day. Thanks Debbie and thanks for stopping by. Free storage is my favorite kind of storage. 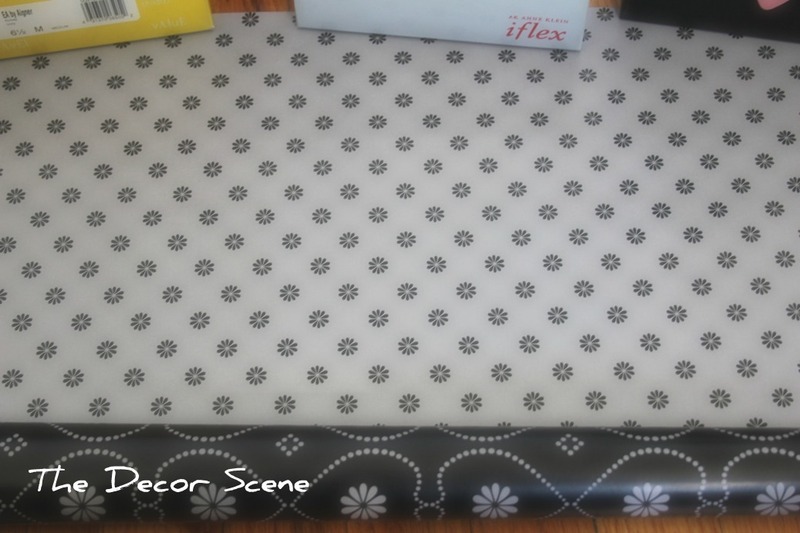 Great wrapping paper. I found you via Centsational Girl. Now I look at every box before I recycle and see if I can re-use it for anything else. 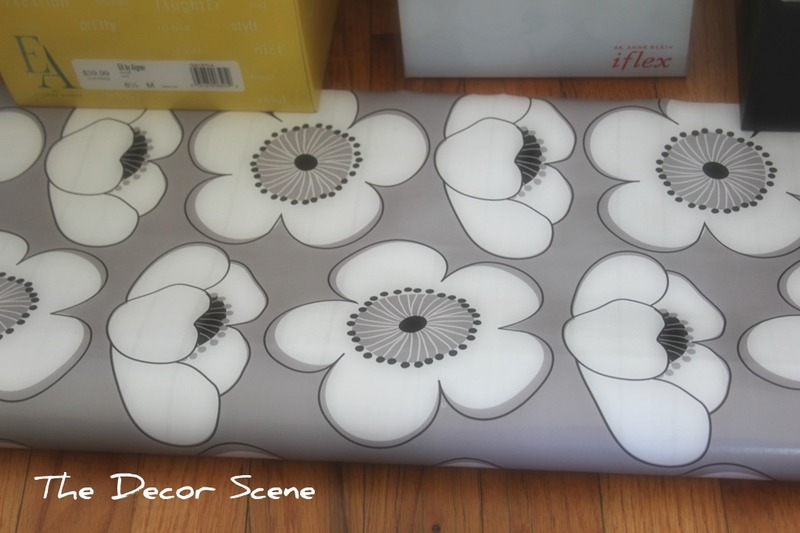 That wrapping paper I have had for awhile, but I found it at Ikea in the clearance section and it was a $1 a rool. Thanks for stopping over Judy. Hope to see you at the party! Thanks Linda. I just linked up to your party. Thanks for stopping by. I'm going to check out all the great Cinch projects now. Thanks for inviting me over. Have a great day!!! So happy to see you at the party! Can I get you a drink? What an awesome idea! I love IKEA! 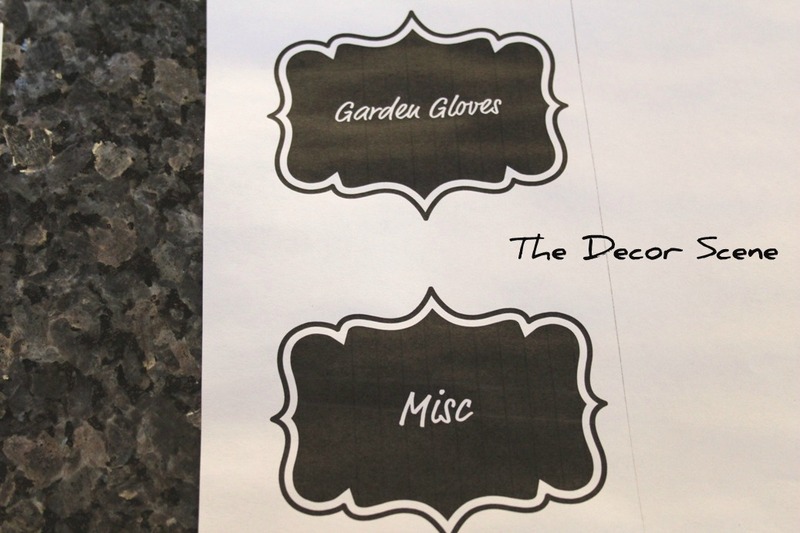 I need to make labels like those…thanks so much for the inspiration! Thanks Karianne! Thanks for stopping by. What a great upcycle…now I feel like I need new shoes. 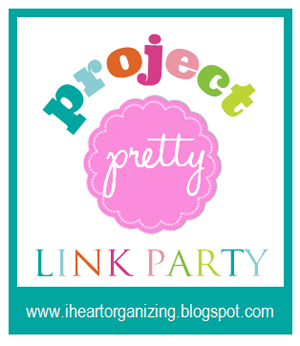 Thanks so much for linking up to our party! Great idea! Did you use glue or double sided tape or what (lol) to put the paper on the boxes? Thanks! Thank you. I just used regular tape to put the paper on the boxes. Hope that helps. Thanks for stopping by. Free is a great thing! I love your boxes! Such a great idea. Your newest follower from Keep calm linky party. Thanks Kathy and thanks for becoming a follower! Great to have you here. What a great (and frugal) storage solution! 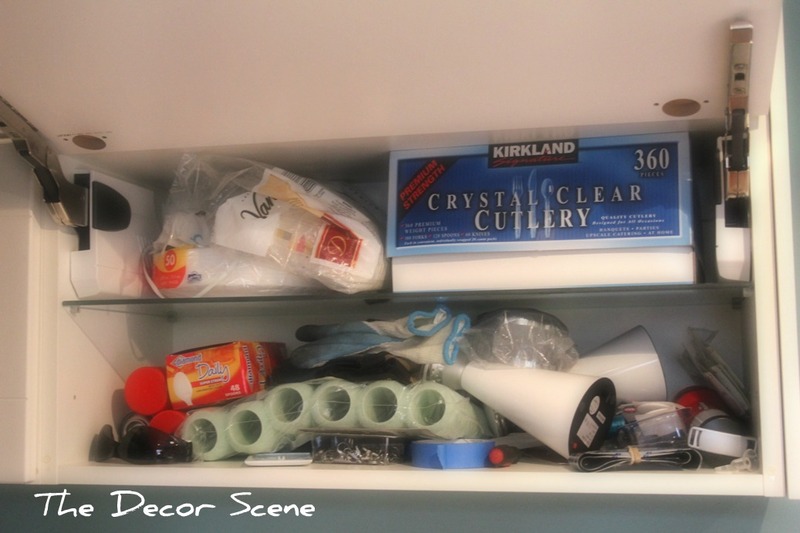 I need to organize SO MANY areas of our house. This idea will most definitely be used! Thanks so much for linking up with us this week @ Keep Calm & Link Up! We're so glad you chose to party with us!! Thanks for stopping by Meredith. Glad I inspired you for storage in your home. Would love to see your project when your done. Turned out perfect I think! Loved the paper. Did you just glue the frames/labels to the box? These are so pretty! 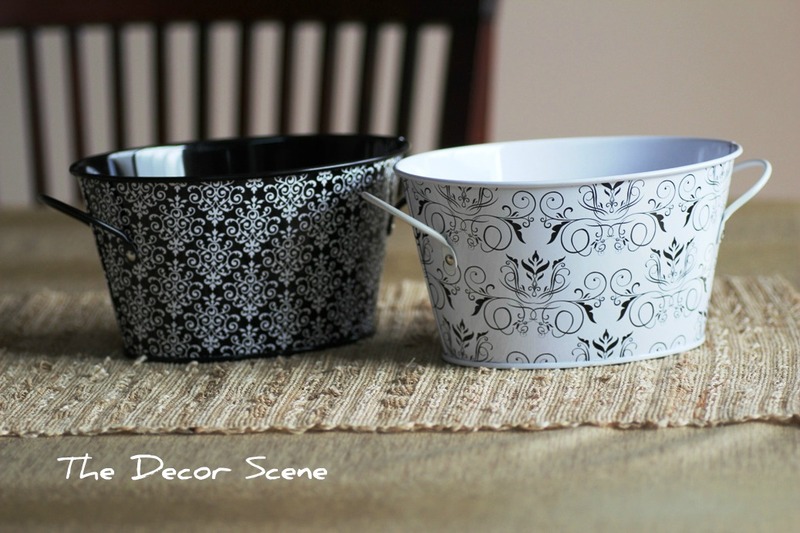 The bins you bought would look good in your laundry room. Love the black and white!